Woke up at 6:30 am as usual when my host mom knocked on the door. This morning however, the plans had been cancelled due to potential heavy rains and so I could sleep in. As much as I was disappointed about not going to the Kairokuen, I was quite tired and happy to sleep for a few more hours. 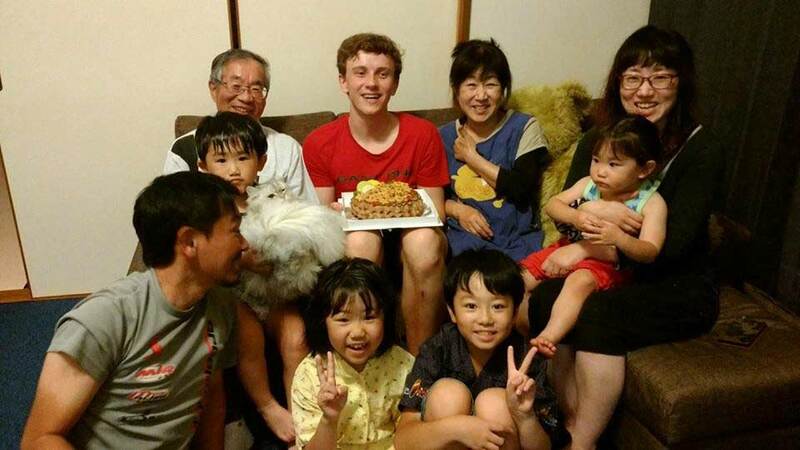 At 9 I got dressed and had breakfast with my host family. My host mother made a really tasty breakfast with eggs bacon and edamame and my favourite, curry bread. 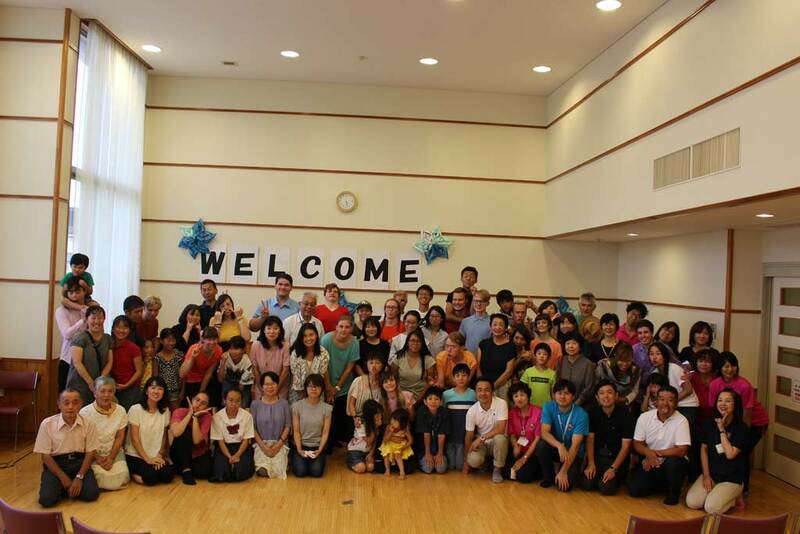 After we had put away the dishes, we all headed to the Kokusai kouryo to meet with all the other families. On the way we noticed that it actually had barely rained. 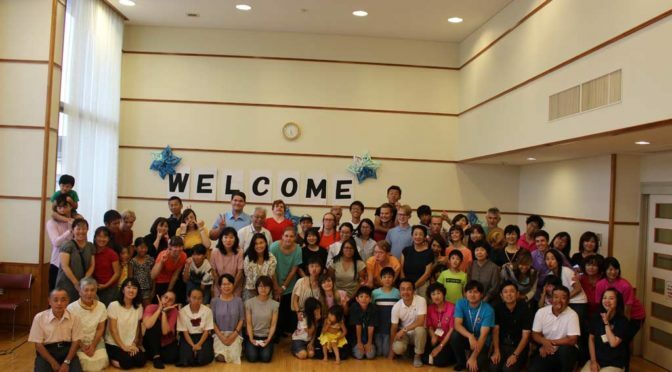 When we arrived, I quickly joined the other World Campus Japan members for a quick meeting before us all having fun playing games and singing silly songs with the families as well as enjoying the delicious food people brought for the potluck party! I spent most of the time with my family, but especially with my host dad. We talked about a lot of things together including the education and a little bit about his trip to my country when he was younger. After clean up, my family decided to still quickly take me to the Kairakuen, but now it was actually raining and very badly… Instead we decided to go visit the Kodokan, an important school where clansmen and their sons had gone to school to learn everything from mathematics to martial arts. The building was quite old but extremely beautiful. Because of the heavy rain, the garden surrounding the traditional Japanese building looked stunning and made the whole area seem like a movie set for a historical movie. My host family also translated and explained all the panels that were only written in Japanese for me. When we left, the rain was much worse. After a short run in the rain, we made a quick stop at the shopping centre where we picked up some ingredients for dinner which was curry! After we cooked together and ate, we watched a few game shows on TV together before finally going to bed early. The next day was Host family day, and we planned to leave as soon as possible the next morning and also hoped for no rain. Hello everyone, My name is Magnus Krumbacher and I’m from Norway. I have been living in Tokyo on my gap year since I graduated from high school last year. Now that I’ve introduced myself, I would like to talk about my day and what I got to experience. It started off as usual by waking up at 7:00 AM. I went downstairs to eat breakfast together with my host family. I have to say, I’m not really a morning person so I’m always half asleep while eating. Today was no different. Luckily though, they are quite the same so I felt comfortable with just sitting, eating and occasionally talking a bit. After breakfast my host father drove me to Takematsu elementary school where I met up with the other World Campus participants. After everyone had arrived we walked inside and sat down in an empty classroom, waiting for the principal. 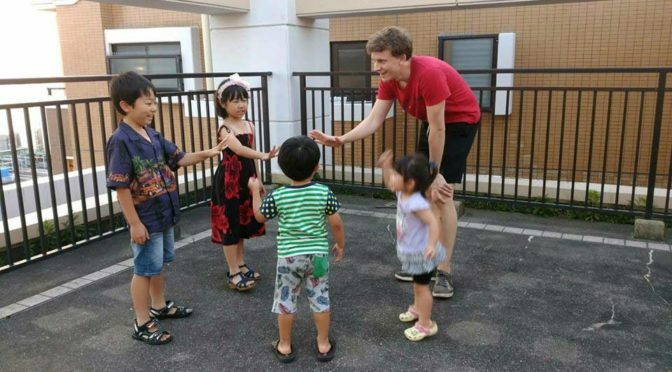 Astonished by the sight of so many foreigners in one place, the elementary school kids quickly began to gather outside of the classroom and started staring at us. I didn’t feel uncomfortable being stared at because I think that children anywhere in the world would stare out of curiosity when seeing a group of people that don’t look like people they’re used to. The principal finally arrived and we were taught the history of Takematsu elementary school. 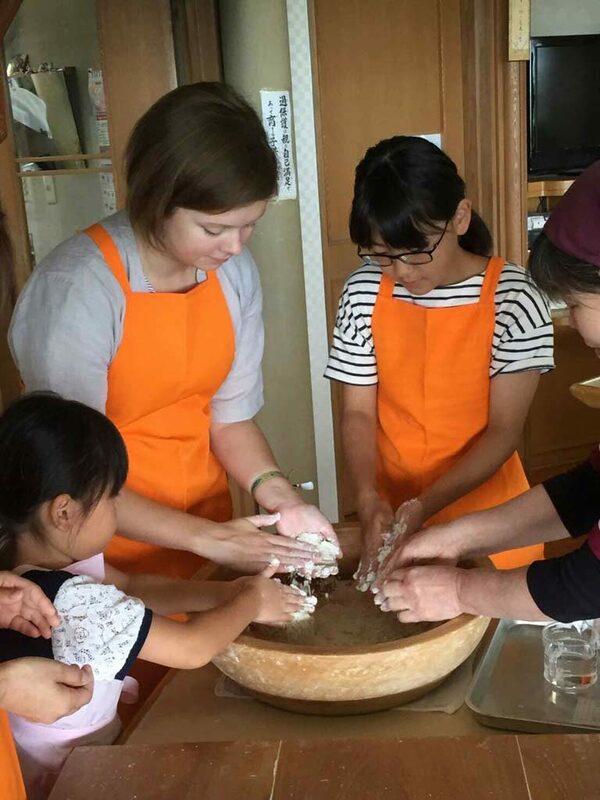 After also having explained some things we were not allowed to do, such as taking pictures of children and publishing them on social media, it was time for 書道, calligraphy in English. After going to the gymnasium and briefly introducing ourselves, we sat down with the children and started writing Chinese characters. I chose to write 嵐, meaning “storm”. Although I was pretty bad at it, the children helped me enough that I ended up with a presentable result. Then the children cleaned up after us and we were introduced to some typical Japanese games like 剣玉, literally translated “Sword-Ball”. After about 30 minutes we returned to our classroom and waited for the kids to prepare for school lunch. We were sent into different classes and got to interact with the children while eating the school lunch. I made a small group of friends during that time so after we finished eating, they dragged me outside to play with them. On the way out one child had the idea of asking me for my signature and when the others saw that, it completely took off. All of us were surrounded by school kids asking for our signature for at least 10 minutes. When we finally made it outside, my small group of friends suggested we play tag. Of course I was the one who had to catch them and it wasn’t exactly cold on that day either so after we were done, I was drenched in sweat. We then proceeded to clean the classroom with the children. This is actually part of the education at Japanese schools. They have to clean their own classroom, toilets etc. The children had a hard time believing that in Norway we have people who clean after everyone leaves the school in the afternoon. Anyhow, after having cleaned the classroom it was time to say goodbye. I really felt bad because my small group of friends I had made seemed quite sad that we were all leaving and they had to return to their daily school routine. We then moved to back to the Shorinji Kenpo Dojo we had been earlier that week and practiced for the upcoming Thank-You-event at the end of our stay in Omura. Our host families came to pick us up and I just had enough time to take a shower before they took me to their daughters place and we all had a rooftop BBQ. The daughters children were pretty scared of me in the beginning but that went away pretty quickly when we started playing various games. The BBQ was also delicious. I discovered that I really like fried tofu. When it got dark outside we went inside and it turned out they had made a cake for me to “welcome me to the family.” I thought that was very sweet of them. Then I went home with my host family and we watched some TV before I went to bed. Overall it was a very successful day! “Enjoy your day off with your Host Family”, they tell us the day before, and so I did. Both me and my host mom agreed on that sleeping in on this day was a good idea, so the day started slow. After we all had eaten breakfast and gotten ready for the day, we left the house to pick up a friend and her family. It had become quite clear to my host family before that I really liked Pokémon, so our destination was the Yokohama Pokémon Center. The ride was quite long and with 4 young children in a car, this could have been very tiresome, but luckily there were DVDs to watch, and so we watched a Doraemon movie on the way to Yokohama. I might not have understood everything they said, but I did understand that the evil guy that came from a century later than Doraemon did not win the fight in the prehistoric times. There was also a unicorn. 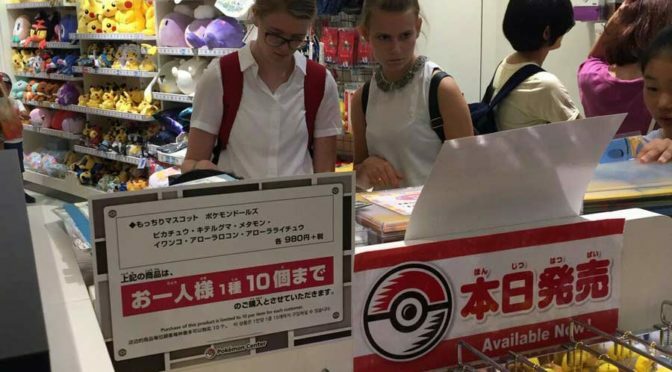 Having arrived at Yokohama, it was quite clear I wasn’t the only Pokémon lover among us, whose family had noticed, because in the Pokémon Center we encountered Irina and Sam and their host families. After thoroughly browsing the Pokémon Shop and other shops and trying my best at (and winning) a small game they offered, we went to get some lunch, to check out some more small games and a Pokémon pop-up store. After we were all satisfied with having played the games, doing Gacha-Gacha’s and having bought the things we wanted (a Pikachu shirt in my case), we went home tired but satisfied. But the day didn’t end there, because that evening a local shopping street organized a festival and we were all invited to come, in yukata’s (the summer, festival edition of a kimono) if possible. And so, a lot of us showed up, some in normal clothes, some in yukata, and even someone wearing a Jinbei. When we arrived there, we got a surprise. We were apparently volunteers to work at the festival booths, but nobody had told us in advance, so this caused some stress for some of us. But after all the shifts ended, and when the bon dancing started we were too busy dancing and saying goodbye to worry about it anymore. This Saturday was the last day of session 2, the Sunday was departure day and since some people left early, this was the last goodbye for now. Thank you everyone for this fun festival and amazing session! Even though we couldn’t complete the original plan of going on a boat ride to see dolphins because of the predicted storm, I had so much fun! Instead of going to the coast we went up into the mountains. Coming from the Netherlands, where there are no mountains at all, it was amazing to see all the sights. We never saw the predicted storm but the mountains shrouded in clouds were very beautiful. After stopping a few times to see the view we arrived at our first destination: a soba restaurant where you can make and then eat your own soba. After mixing the dough you roll it out into a big square, then fold it a few times and cut it to make the long soba noodles. They may not have been the prettiest, but they were the best I’ve ever tasted! On the way back to Kumamoto we stopped at the Shirakawa fountainhead, a spring where you can see the fresh water bubble up. This water becomes the big Shirakawa river that flows through Kumamoto city. The small shrine there is very old and placed in a very quiet piece of forest, it was a very peaceful place. During all these car rides we were watching the movie finding Dory. I’m still not used to the fact that so many Japanese cars have a television screen installed in the dashboard. This television doesn’t only play DVD’s but can show live TV as well. When we arrived back home I taught my two host sisters the ninja game, which they proceeded to play for the rest of the afternoon and evening. In between they also found time to teach me a counting game where you have to name the right amount of raised fingers and two card games as well. After having made our own lunch of soba noodles we also made our own dinner, takoyaki! You have to turn these small balls of dough filled with octopus and anything else you want around very quickly in one movement so they become nice and round. My host sisters (11 and 7 years old) were very good at it. I was not. Because this was the last day in Kumamoto and with this host family I felt a bit sad to have to leave so soon after meeting them. 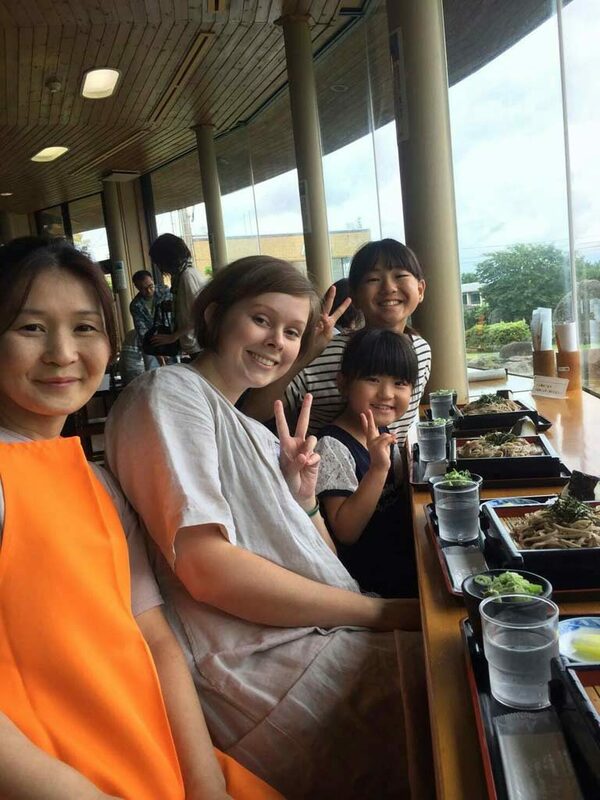 I’m looking forward to meeting a new host family in Omuta, but leaving my Kumamoto host family will be very difficult because my stay there was so amazing!